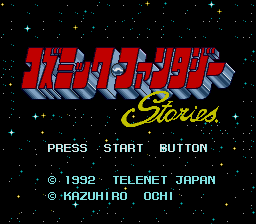 Cosmic Fantasy Stories (コズミックファンタジーストーリーズ) is a Sega Mega-CD RPG released exclusively in Japan. Main article: Cosmic Fantasy Stories/Magazine articles. Main article: Cosmic Fantasy Stories/Promotional material.